While many females struggle with losing weight, there are some women who try hard to gain weight. Some women who eat very well find it tough to put on weight while there are some who have to face the problem of weight gain even if their diet is very less. So what is it that affects female weight gain and why does it differ in every woman? Women who want to gain weight should concentrate on gaining lean muscle rather than fat. They need to follow a meal plan for weight loss and muscle gain. 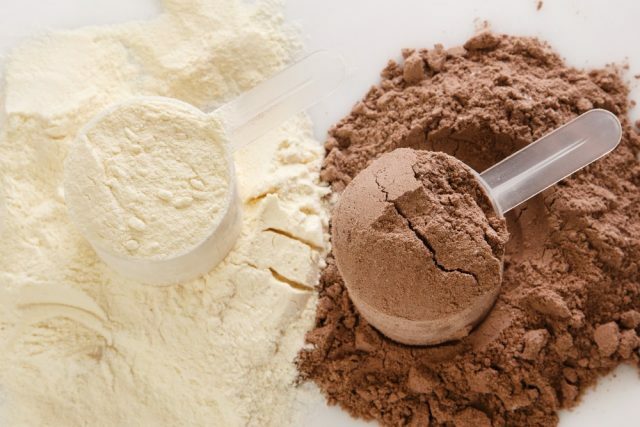 Whey protein for weight gain: Whey protein obtained from milk helps in increasing the muscle growth if consumed after or before a workout. The whey protein contains essential amino acids like leucine which promote growth. 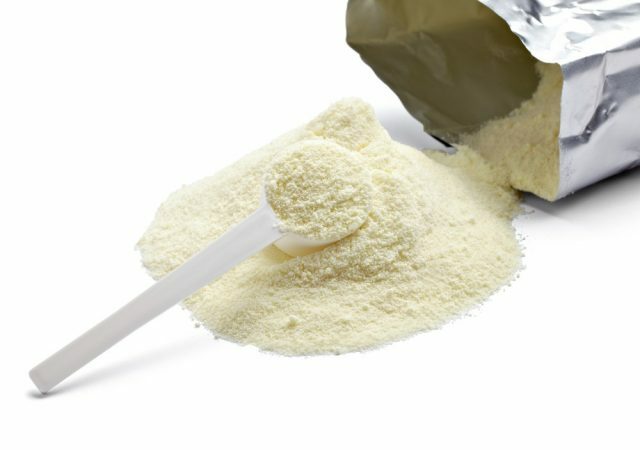 Powdered milk for weight gain: Dry milk powder is a good substitute for those women who have less appetite. To gain weight in a healthy way, one needs to eat a diet with a balance of protein, carbs and fats. Dry milk powder contains a balance of all these. It can be blended into soups, oatmeal, smoothies, hot pot meals and mashed potatoes. 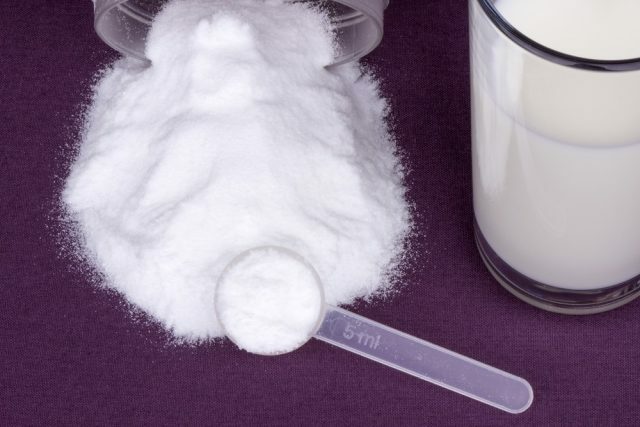 Creatine supplements: Athletes use these supplements for weight gain. Muscles also contain creatine which helps in drawing water and generating energy. A diet rich in creatine helps in increasing the muscle mass and body weight. It is found in natural forms in fish and meat but one can have the synthetic version available in the markets to gain weight along with a proper workout program. Gain weight with proper food: If one does not want to invest in dietary supplements, then too one can gain weight on eating properly. One needs to increase portions at meals and eat foods that are high in calories. 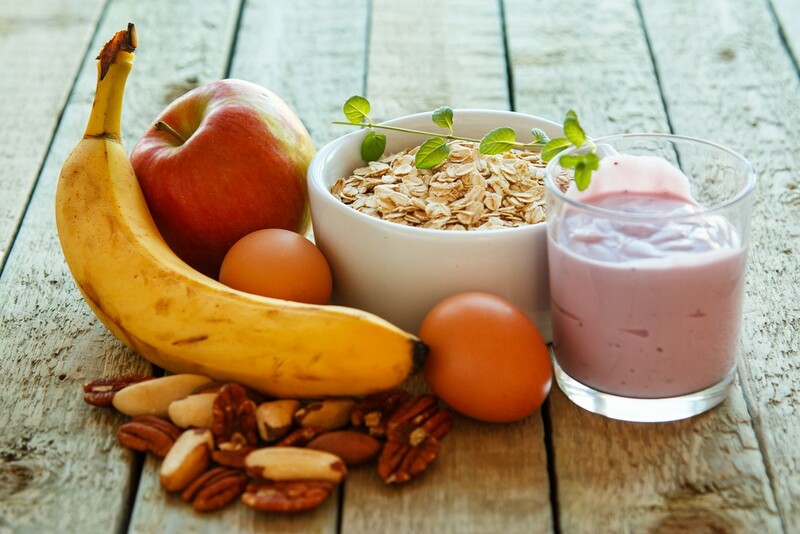 Foods like nuts, bananas and yoghurts will help one to increase muscle mass rather than putting on extra fat. One should track the weight gain progression to get an idea of how much they have gained every week. This will also help them increase or decrease their meal plans accordingly. In order to build muscle and gain weight, a right combo of exercises and meal plans are essential. Results will begin to show within 2 weeks of hard work. It can be a time-consuming process. The aim should be to gain overall healthy weight rather than just putting on empty calories. Eating the right food at the right time will help. Increase the calorie intake: Eat food that has more calories to gain weight. Make sure to eat more than 2500 calories per day which will help to add a kilo more to your existing weight. One needs to eat a diet rich in cereals, meat, dry fruits, nuts, bread and rice. Add a lot of vegetables like potatoes, pumpkins, carrots, spinach and eggplants to your diet. Indulge in a little bigger than usual portions of red meat. Enjoy a greater amount of olive oil dressings to your salads. Increase the intake of dairy products like cheese, cottage cheese, yogurt, milk and curd. Remember to eat full cream milk products. Remember to avoid fast food to gain weight as they will only make you add on kilos without muscle gain. Increase number of meals: Having six meals in day will help you gain weight substantially. 3 should be big and 3 should be small. Make sure that your breakfast, lunch and dinner are high in calories. A heavy dinner helps you put on weight faster as the metabolism is the slowest when a person sleeps. Consider eating a bowl full of cereal, toast with butter, eggs and fruits for breakfast. A spread of cheese or peanut butter is also a good option. Have nuts, cheese or ice-cream as a mid-meal. Have burgers, pizzas and other desserts occasionally to put on weight. Frequent eating helps to maintain regular energy levels in the body. As the portions are small, one wont gain unnecessary fats. Have high protein meals along with calories: Right amount of proteins are essential along with calories to be able to put weight on the body. Eggs, meat, fish, chicken, sprouts, pulses and full cream dairy products make a healthy combo and are rich sources of proteins. Proteins are full of amino acids which help in building muscle mass. Have healthy fats: Make sure to have good fats for proper growth of muscles in the body. They also help the body to lose bad fats and gain on good fats. The polyunsaturated and monounsaturated fats are the good fats in the body which are in plenty in nuts, salmon, leafy vegetables, avocado oil and some seeds. They also contain omega 3 and omega – 6 fatty acids. Yoga and exercises: There are some great yoga exercises which help in gaining muscle mass. Yoga removes stress from the body, improves metabolism and improves stamina. Exercises like twisting crunches, leg extension, leg press, arm curls and leg curls, seated dumbbell press etc help to build muscle mass in the body. Keep a journal for your daily food intake: Doing so will help you keep a track of your daily intake and your subsequent weight gain. It will also help you make changes in your diet and exercises if the results are not as desired. Do not be stressed and sleep well: Many people lose weight if they are stressed. Stress will become a hurdle in weight gain and no diet or exercises will help if you are stressed. Try to meditate relieve stress. Sleep as much as you can as it is very essential for a healthy body and mind. The more you sleep, the better your body prepares the muscle mass while you sleep. Consider weight gain products or supplements: Whey protein is an essential weight gain supplement which helps in gaining weight. This can be mixed in milk or smoothies. These contribute in building muscle mass and development. 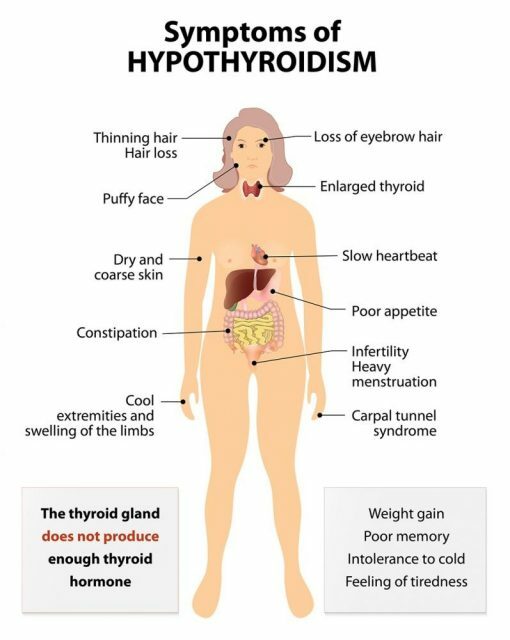 Hypothyroidism leads to weight gain in majority of the women because of the low basal metabolic rate resulting from underactive thyroid gland in the body. A minority of women with hypothyroidism are not able to gain weight which may be a result of their own body biochemistry, the quality of calories they have or how are the calories used in the body. Due to excessive dieting, at times, the metabolic burning in the body is disturbed due to lack of excess calories. Women with low thyroid experience weight gain in spite of consuming fewer calories. Hypothyroidism generally affects women more than men. 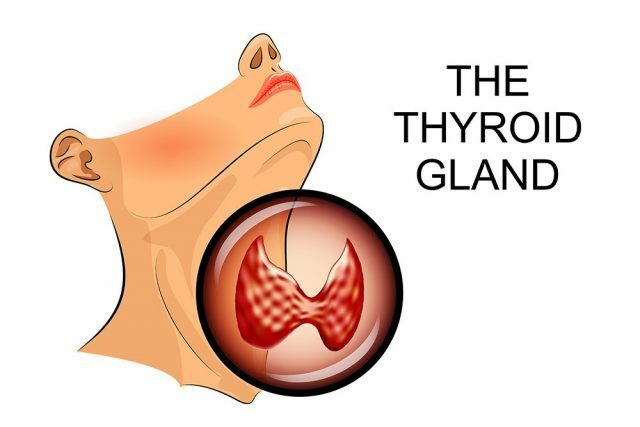 These thyroid problems do not come on the surface before a lot of hormonal imbalance starts occurring in the body. Thyroid issues, menopause and weight gain are often diagnosed together. The main reason behind low thyroid and weight gain in women is food choices they make. Most of their lives, women tend to eat in a very irregular pattern due to dieting and fasting and then sudden feasting resulting in faulty metabolism in their body. This pattern decreases their metabolic rate which alleviates during perimenopause. Stress affects women negatively and they tend to hog on comfort foods like sweets and carbs which lead to weight gain. Such foods provide them instant energy and good hormones. Even their monthly hormonal fluctuations affect their body’s biochemistry. Consult a medical practitioner to do a thyroid test for you to check your TSH levels. Even if the range hits normal, some women may still need some additional thyroid. Even a slightly elevated thyroid level triggers weight gain. 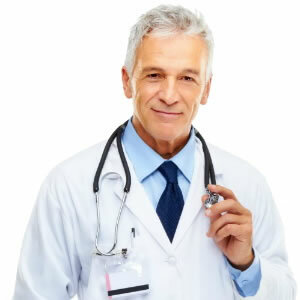 Your doctor might suggest you to take mineral Selenium as a supplement. A regular meal plan along with selenium helps in balancing proper ratios of carbs and proteins thereby increasing the metabolic functioning. A low-dose thyroid hormone might also help along with the supplement. All these pills have shown proven results for weight gain yet it is advisable to consult a doctor before taking them. Though most of us feel its quite easy to put on weight, there are some women who really struggle with weight gain. This has an adverse effect on their marriage, relationships, energy levels and aesthetic beauty causing them to get into depression. A well planned meal and proper exercise could help a woman gain weight naturally and in a healthy way such that the body looks fit and not flabby. A thyroid check is necessary to rule out any other issues which prevent one from gaining weight apart from hereditary issues. If stress and tensions are preventing you to put on weight then remember that with stress, its not possible for you to put on weight. Be happy and healthy. This post was indeed so helpful. Thanks a lot!